Jockey Club Salinas Ibiza can only be summarised as “Magic” by those who love Ibiza. Something that makes it the one of the most special and best local places to hang out at on the Island. It’s the place where you can relax and unwind until the sunset, which is not easy to do in the era of the Franchise-Beach-Clubs- flooding every corner of Ibiza (since Beyoncé and her bodyguards visited last summer nothing will be the same again). Jockey Club Salinas has remained more or less as the same “Chringuito” that opened back in the nineties, placed on a barren beach, which most tourists back then couldn’t even locate on a map. Those who know Jokey Club well understand why! The atmosphere, food, deco, service and every detail are well looked after by Oliver Lanzoni and his team, with the aim of making you feel as if you are at home. 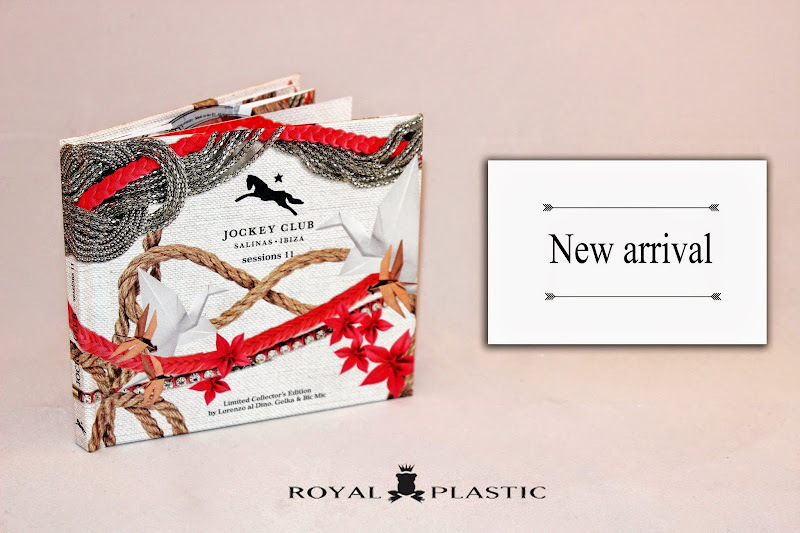 To complete the list of all the good things that make Jockey Club so special we need to mention the music. From 9am until closing at sunset, the chiringuito offers one of the best music selections from the island. One of the finest experiences you can have on your holiday is to enjoy an amazing breakfast on the terrace whilst listening to incredible lounge music… It is simply like heaven! With a team of DJ’s with Lorenzo al Dino as a resident, Jockey Club is a musical point of reference of “Lounge”, “Deep House” and “Up Tempo” without exaggeration. In most of our trips around the globe, Jockey Club Ibiza is always a must in the conversation. The smiles on people’s faces remembering afternoons at the Jockey Club are priceless! What is more special without a doubt is the annual completion (apropos edited by Royal Plastic). The famous Jockey Club Sessions, which last summer celebrated their 10thedition, have become a must to the island, whether you are one of the locals, a tourist or an industry professional. So this year we are proud to introduce the new Jockey Club Sessions 11, this time with a big surprise: Triple compilation (Breakfast, Lunch and Cocktail) to help summarize the philosophy of Jockey Club Salinas Ibiza even better. Selected and mixed with love by Lorenzo al Dino, Gelka and Bic Mic, Jockey Club Ibiza Sessions 11 will be without a doubt, the soundtrack of this summer 2014. You can either listen to it and directly downloaded digitally through ouronline store or through all the usual digital platforms such as iTunes, Amazon or Google Music. Hard copies can also be purchased through our online store, at Jockey Club Ibiza or other music outlets throughout the island. If you are in Vienna you can find the Jockey Club Sessions 11 exclusively at Kare Design.